Do you like in-ear headphones at all? Plenty of smartphones out there come with a set of earphones in the package. This has been a tradition for years now and we sure hope it doesn't change. But there is one thing that is a bit odd — manufacturers insist on shipping in-ear models pretty much universally. Apple goes against the grain with its EarPods being an earbud type of headphone, and Samsung did so for a while, too — the headset that was bundled with its Galaxy S6 and Galaxy S7 smartphones was also of the bud type. 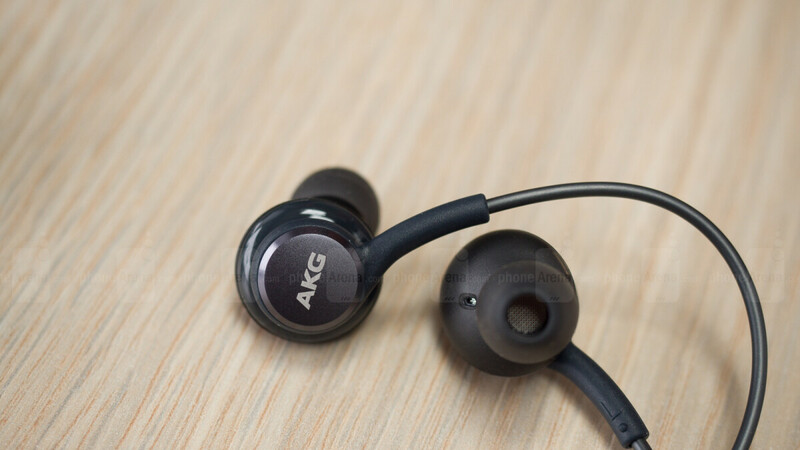 But that changed with the Galaxy S8 onwards, with the new "designed by AKG" in-ear headphones. As for the rest of the industry — we can't come up with a single, well-known smartphone brand that features headphones, which are not of the in-ear model. There are people out there who absolutely hate in-ear headphones due to the fact that their ear canals simply refuse to hold such a design in place, no matter what size of tip one puts on them. There are the people who simply dislike having to jam a headphone in their ear. Then, there are also those who like the sound-insulation, we suppose. So, we thought we'd ask. Do you like in-ear headphones or do you just put up with them? Do you refuse to use them at all? Vote in our poll below and feel free to expand on it by commenting as well! Do you like in-ear earbuds? True. I use Xiaomi Piston Air for the same purpose. They are the most comfortable ones I have ever used, in bed or wherever. They also stick very good in the ear and don't pop out every now and then. Though the sound quality is not that great and the cable protection has damaged a bit after 8 months of use. The earpods are also very ergonomic. I was in the same boat as you until I found the ones that I am most comfortable with like the one I got with my HTC one m10 back when I had it. I still use my pair to this day and they are great. I'm shocked that you're shocked. If you know anything about earbuds you know in ear are the best. And why are in-ear better than on or over ear? Usually, the best sound headphones are not in-ear. I completely agree with you that over-ear headphones are the best (not on-ear) for sound quality, but in the context of earbuds vs IEMs, then IEMs are definitely far superior to earbuds, which is why the headphone subreddit says you shouldn't spend over 20$ on earbuds, haha. In ear are only superior if you're exercising and in work place environments where you're allowed to use them as they don't get in the way. For actually listening to music then over ear are by far the best in terms of audio quality. If you're not mobile (on foot), you can listen to sounds through speakers, you don't need headphones. Never mind... I didn't notice they are only talking earbuds here, as in the small ones you put in your ears. Not headphones in general. Didn't even know there was a difference in earbuds itself. No way, dude. You can get comparable sound quality from an over ear for far less money. The over ear deliver sound in a far more natural manner. I have to disagree with you, bro. If you can wear them. My ear canals don't take them (wrong shape), so I don't even have a choice. But earbuds are harder and harder to find, especially if you want a pair that's wireless. Mr.Kateliev hates'em so much I guess. Comfort is completely subjective, so saying that one is just straight up more comfortable is just wrong, as that is down to the individual. The only thing you can discuss is sound quality, and in that regard IEMs completely spank earbuds, as earbuds are the worst form factor there is. If your ear canals meet the industry standard spec, sure. But if you have a curve in your ear canal (like I do), you're going to have to use a lot of force to jam an earbud in, and it hurts like hell. And so do earplugs. That's not subjective, that's just bad luck. Ofc it's subjective, because it's something that is quite unique to you, it's not a universal thing for all humans. I don't have any issues at all, while you do, which again shows how subjective comfort is. They are great when you have the right pair for your ears but usually I prefer over the ears headphones like the v-moda crossfades or sennheiser ones. How do you find the momentums? I have the dj HD 7 and I don't mind getting another sennheiser pair or a second Gen v-moda crossfade m100. Sounds good. There is a second Gen? I'll check this one and the Sony mdr 1000 and compare them together. I read online that Sony's noise cancelation is the best so far but I need to try them myself. OK I just found out there is a second gen Sony WH-1000XM2. More choices more confusion. I'll take the time and check the reviews. My Bose QC 20's are still working great. The sound is amazing, they're noise cancelling, and much more portable than any over-ear headphones. I personally love my Sennheiser in-ear headphones.